So I am considering shaving my head, but want to know what I'd look like. I googled a bit, but everything seems to have a fee or a download. Isn't there a site you can upload your pic to and try that kind of stuff? Some men look really good with a shaved head. My husband shaved his and he looks great. I actually prefer him with out hair. Then he lets in grow in a little it's all soft and stubbly. Sometimes when we are watching tv together I just sit and rub his cute little head. Got to tell you though there is up keep to it and you better make sure you have sun screen handy. I've seen hairstyle simulators for women but I don't recall ever coming across one for men (or any that featured the bald look). I know it sounds silly, but if you're good with Photoshop, you could always use the tools to sample your skin tone and then "paint" it over your hair. Might give you a general idea at least. or with a nice pink 'fro?? Hehe, thanks! But part of my head is missing as well, it is quite a bit larger! I find the rounder the head the better it looks. 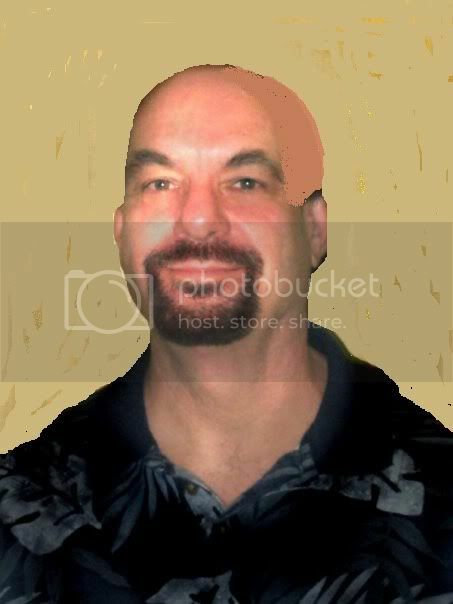 I find bald heads on thin headed guys is, sorry, ugly... LOL…. For these guys I like to see long hair. I really think you would look good with a bald head. You seem to have the right shaped head for it. You could always try it, besides hair grows back fast if you don’t like it. One word of advise.. my brother shaves his head and he finds it a hassle having to shave it all the time. Edited by BlueRose3, 25 July 2009 - 05:18 PM. I agree with BlueRose. I think the look would be very flattering on you--plus, bald heads seem to go well with goatees. I say give it a try and just let your hair grow back naturally if it doesn't work out. I think you look really good bald! The pink "fro" would look better with a different color shirt maybe....LMAO!! Clairina that's priceless!!! I really like the bald look on men. I have natural curly hair and there are days I'd like to go bald!!! Nope, I haven't shaved my head! Pretty bald up top though. lol these pictures are cracking me up! !